Many a social practices reflecting the inequality in society got religion’s cover and assumed a rigid character as the sanctity of religion has been associated with these retrograde practices. The personal laws were picked up by British from diverse sources and implemented. The interpreters of ‘religion’ have been mostly ‘men’ who decided what is right and wrong for the whole society. The process of reforming practices also began during the British rule with reformers targeting practice like Sati and Child Marriage. There was a strong opposition to these reforms from conservative sections who wanted these to be preserved in the name of ‘defense’ of religion. Currently many such campaigns for social reform are being witnessed amongst both Hindu and Muslim communities. Among Hindus the demand for women to enter some temples, which are not yet accessible to Hindu women like Shani Shingnapur are making good stride. Similarly the Muslim women are also coming forward for entry to Haji Ali Dargah, which has been barred for them from last five years. At the same time in a major move Bhartiya Muslim Mahila Andolan (BMMA) launched a campaign against triple Talaq. A survey done by BMMA shows that around 92% Muslim women are opposed to this abominable practice of Triple talaq. BMMA has already collected the signatures of 50000 Muslim women to oppose the triple talaq and also to oppose Talaq Halala. In the triple talaq a man can pronounce talaq three times and throw the wife out of the house. In talaq Halala if the husband decides to take her back, she has to get married to someone else; consummate the marriage then divorce the new husband before she can come back the earlier husband. Many a Maulanas are offering this service of being ‘temporary husbands’! As per BMMA both these practices are un-Islamic. BMMA memorandum points out such practices are not mentioned in Koran. The memorandum submitted to National Commission for Women mentions that “The instant method of divorce has no mention in the Quran. In fact the Quranic method requires a 90-day process of dialogue, reconciliation and mediation before divorce takes place,” Many Islamic scholars do endorse this statement of the BMMA. The Muslim personal law board and Jamat-e-Isalmi do not agree and the latter is planning a campaign to oppose the campaign begun by Muslim women. While these bodies; dominated by men are up against the BMMA and other agitations for equality by Muslim women, there are group of Muslim men, many among them prominent activists and writers, who have come out with support and solidity with Muslim women’s struggle for equality. These women aspiring for equality and these men supporting this camping are being dubbed as playing the RSS-BJP game of supporting the UCC. Lets point out that triple talaq is banned in over 21 Muslim majority countries including Pakistan. The parameters to judge here should be Koran on one hand and Indian Constitution on the other. The minority rights for culture, right to life and affirmative action need to be supported to the hilt but at the same time the process of reform within the community has to be upheld and supported on moral, social and legal ground. Those opposing the campaign point out that rate of divorce among Muslims are lower, but nothing can be a ground for opposing the equality of women is concerned. As far as labeling the supports of Muslim women’s struggle for reform, one does realize the need to understand that RSS is inherently patriarchal and it’s shouting pro-UCC slogans are merely there to intimidate the minorities. It is the same RSS which opposed the Hindu code bill (HCB) as drafted by Ambedkar. RSS stood totally against the reforms in Hindu society as envisaged by HCB. True, many an elements with ruling Congress were also opposed to HCB. It is due to that HCB as initially drafted by Ambedkar had to be diluted. RSS’s Guru Golwalkar was a strong opponent of UCC also. Later especially in the wake of Shah Bano Judgment, the response of dominant Muslims in opposing it in the name of Muslim Personal law, RSS has been using ‘implement UCC’ time and over again. As such UCC was the initial demand of the women’s movement. Later the realization came that the prevalent notion of UCC is to pick up something from this and something from that law and impose it on every one. The basic point which emerges from the exercise of making of the HCB was that most of the personal laws are built on the hierarchical notions of society and thereby give a secondary status to women. So what we need is a ‘Gender Just Personal Laws’. I presume the gender just code in turn will be same for all the communities and so it will be Uniform. Gender Justice has to be the basis of uniformity; blind uniformity may turn out to be most unjust for women so to say. 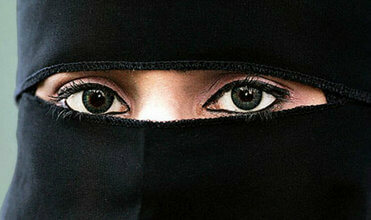 Can those who are not Muslims opine on the issue of Muslim Personal Laws? This question is faced by the likes of this writer, who are opposed to communalism of all variety, who wish that rights of minorities cutting across nations are respected. Still in present time all opinions about social, political issues need to be voiced as one also believes that injustice somewhere is injustice everywhere. The question here is not only to support the movements like that of BMMA, with a realization that whatever space of equality within Koran is possible should be used. Koran has many interpretations goes without saying. While what BMMA is doing is to pick up the humane and just aspect of teachings of a religion. Today what we need is a support to all movements for reform which challenge the patriarchy. Let men and women cutting across religious boundaries come forward to support such initiatives aimed at gender equality in all religious communities. We do need to say a big No to triple Talaq and polygamy.